One of the joys of traveling abroad is the opportunities it presents to interact with local people, from the women at the market stalls to the families you encounter in a rural community. But sticking around and opting to live in a community for an extended period can be even more rewarding: imagine being welcomed into a town and spending each day interacting with local people. 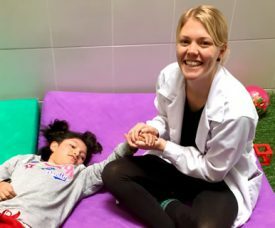 Volunteering in Peru is life changing! 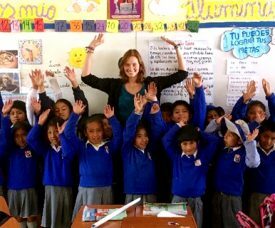 Did you know AMAUTA Spanish School organizes interesting volunteer placements in Peru for Spanish Students? We think this is a great way to give back to Peruvian society. 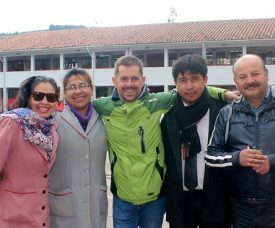 For the volunteers, working in Peru, Cusco, gives them the opportunity to meet the local Peruvian people and to have an extraordinary living and working experience while improving their Spanish abilities. AMAUTA selects the projects that we work with carefully. Combine this with all you will experience during your travels in Peru, and you will easily understand why Volunteering in Peru is a once in a lifetime experience! 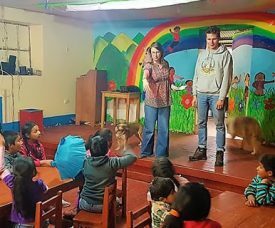 Did you know AMAUTA Spanish School in Cusco organizes interesting opportunities for those who want to volunteer in Peru, especially for our Spanish Students? 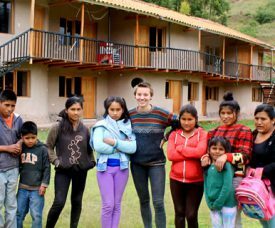 We think this is an excellent way to give back to Peruvian society and our volunteer coordinator selects the projects we work with carefully. 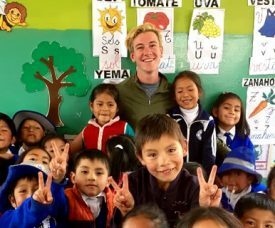 For the volunteers, being a Volunteer in Peru, Cusco, gives the opportunity to meet the local Peruvian people and to have an extraordinary living and working experience while speaking Spanish. Combine this with all you will learn and see during your travels in Peru, and you will easily understand why Volunteering in Peru is a once in a lifetime experience. 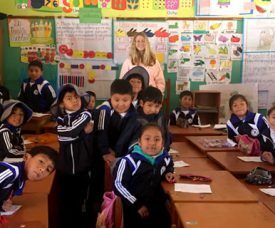 Many people choose AMAUTA Spanish School for Spanish Immersion Programs and volunteering in Peru, thanks to our over 20 years experience working with volunteer projects in Cusco. Volunteering is an incredible way to connect with the heart of local communities, while giving support to very vital aspects of everyday life, like social work, education, healthcare, animal conservation, and stimulating local economic growth. It is important to recognize the important aspects of this work. Without volunteers, some of these projects wouldn´t be able to exist. As a volunteer in Peru, you provide such a valuable service for those who cannot afford to pay others for their time. Volunteer projects in Cusco can be found all over the country. 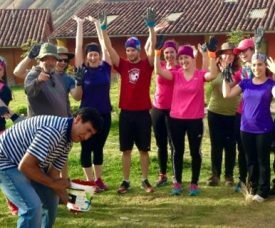 AMAUTA is proud to work closely with over 20 different volunteer projects in the region of Cusco. Cusco is home to amazing archeological ruins in the world, of which Machu Picchu is the most famous one. One of the projects we work with is an orphanage in the Sacred Valley of the Incas. Only committed and engaged volunteers get the opportunity to live and work here, together with the Peruvian staff of the project. Did you know AMAUTA organizes interesting volunteer placements in Peru for Spanish Students? We think this is a great way to give back to Peruvian society and our volunteer coordinator selects the projects we work with carefully. For the volunteers, being a Volunteer in Peru, Cusco, gives the opportunity to meet the local Peruvian people and to have an extraordinary living and working experience while speaking Spanish. Combine this with all you will experience during your travels in Peru, and you will easily understand why Volunteering in Peru is a once in a lifetime experience. 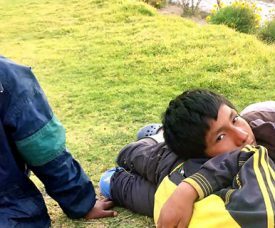 One of the most difficult realities about volunteering in Latin America – and Peru is no exception – is this: organizations do not often provide structure for their volunteers. This means that volunteers are sometimes required to take more initiative and look for things that need to be done. Although this can be difficult at times, it is a great opportunity to practice taking initiative and to apply your unique ideas to the place you are volunteering. Recently we had a great group of students from Canada come to Peru, to take Spanish classes and do volunteer work in Cusco. The students participated during their first week in our Spanish in the Sacred Valley Program, where the all lived together with our Spanish teachers in our beautiful campus school. 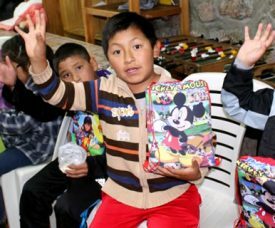 The group volunteered for two weeks at an orphanage in the Sacred Valley. After that, they returned to Cusco for a week to volunteer at a local school in Cusco, where their help was needed.